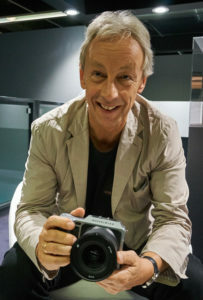 Over the last year and a half, I had the privilege of knowing and interviewing on several occasions the CEO of Hasselblad Perry Oosting. Recently I wrote an article about Hasselblad on how it has changed over the years and where it was possibly headed. My history of owning Hasselblad cameras goes way back to the seventies. As I mentioned in the article, I like many others watched over the years as Hasselblad made some questionable moves. Just a little over a year and a half ago Perry Oosting was appointed CEO. Perry immediately set about getting Hasselblad back on track and returning Hasselblad to its roots, making excellent cameras. He immediately abandoned the rebranded cameras that Hasselblad had embarked on and pushed his team to develop a new camera, the X1D. Today I received the Press Release shown below. I was saddened by the news as I really felt Hasselblad under Perry’s direction was heading in the right direction. As has been mentioned before there have been a large number of turn-overs for CEOs at Hasselblad and I was hoping that Perry would be given a chance to lead Hasselblad to success. As you’ll read below that is not the case. Read into this what you may. I will miss doing interviews with Perry. He had a charm and charisma about him. There was no smoke and mirrors, you got the real Perry, and you got a person that truly wanted his company to succeed. From all of us here at Luminous-Landscape we wish Perry the best and hope that our paths cross again. 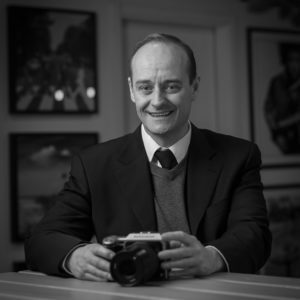 For now, there is an interim CEO, Mr. Paul Bram, is at the helm of Hasselblad. Paul has a number of challenges in front of him and I wish him the best of luck. I do hope that Hasselblad can appoint a permanent CEO quickly and the company can remain focused on moving forward with the X1D. 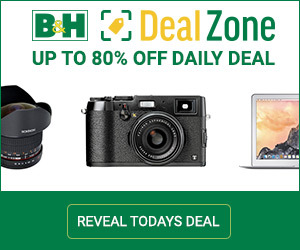 The X1D is hot right now and the medium format market is alive once again, and Hasselblad is making a great camera. “We would like to thank Mr Perry Oosting for his extraordinary efforts. Under his leadership, a foundation for future growth is established and the company has extended its customer base substantially,” said the Supervisory Board. “In the beginning of 2015 I was asked to take the role as CEO to secure sustainable growth and prepare the business for the next steps in its development. During 2016, we launched several new products and a complete new electronic platform. The market reaction to the strategic direction and its products were overwhelming. I would like to thank all involved and foresee a bright future for the team of Hasselblad.” said Perry Oosting. “We are happy to announce Mr Paul Bram as an interim CEO. Paul is coming from his position within Hasselblad as Advisor and has a vast leadership experience from his time at Ericsson and Gambro,” said the Supervisory Board. “I am honoured to take on the role as interim CEO for this iconic and much-loved company. Hasselblad represents outstanding quality, passion for fine art and pioneering technology. Over the coming months we will continue the started path and strategic direction, including accelerating R&D and software development in Gothenburg, Sweden. Going forward I am immensely proud to be part of this continuing journey. ” said Paul Bram.